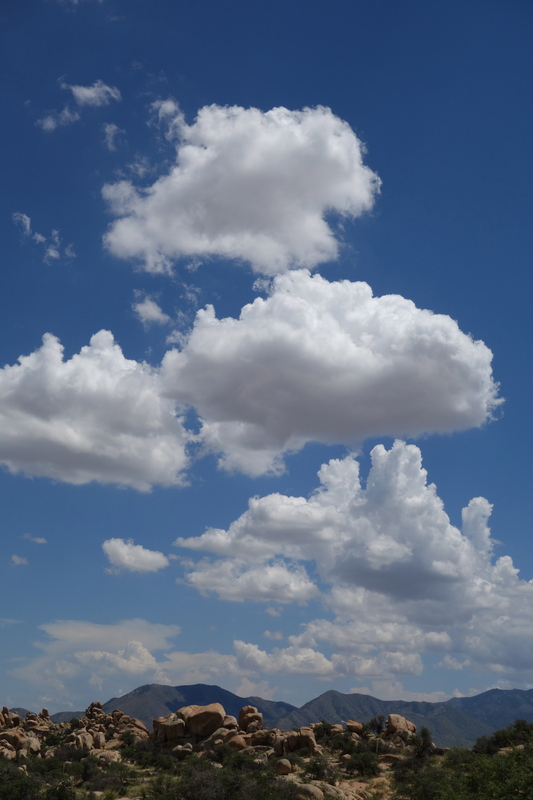 A day of vast sky, high clouds, and sweeping vistas over green-flecked high desert. Six hours from Phoenix to Las Cruces, NM. Google Maps lies. Navi-Lady in my car has a better sense of distance. America’s Best Value Inn had the highest rating in Las Cruces on Trip Advisor — deserved, I now know. 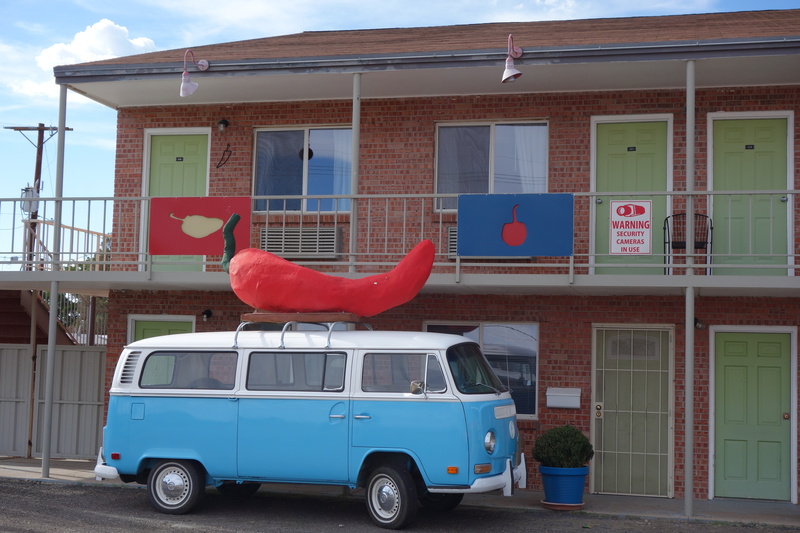 I rolled into an old motel with enormous red chile in the parking lot, ten times bigger than the one on this VW van and as tall as the building. Funky, retro, super nice people at the desk, fridge, free breakfast, all for $54 ($64 with taxes). And I found chips and salsa in my room. Thanks, Carolyn. Just got to Marfa. Going out to explore.